Ladera Heights Truck Accident Personal Injury Lawyers You Can Trust! Truck Accident Injury and Wrongful Death Lawyers with Over 40 Years of Experience & Success In Handling & Successfully Resolving Personal Injury Claims! Truck and car accidents in Ladera Heights, Los Angeles can cause devastating injuries and property damage, and sometimes even fatalities with wrongful death accident claims. In such cases, you and the victim’s family need very experienced truck accident and personal injury attorneys. We are reliable and experienced personal injury lawyers who provide expert truck accident injury claims related advice and legal assistance. So, if you were injured in truck, car, motorcycle and any other accident, or need assistance in a wrongful death claim of a loved one, relative or a family member in or near Ladera Heights, California, you have come to the right place. Contact us now for a completely FREE & CONFIDENTIAL CONSULTATION. Click here to reach us now at anytime for a FREE truck accident claim or wrongful death case consultation. And with our truck accident personal injury and wrongful death attorneys and law offices we work on a contingency fee which means there is NO fee until you win, and the fee is paid out of the recovery, not your pocket! For information on our accident lawyers, their experience and success stories check our Client Testimonials, our record of Verdicts & Settlements and our Personal Injury Lawyer Profiles. If you are searching for more information about the truck accident claims process and what should be done or should not be done in the case of a truck accident injury or any other kind of personal injury accident, then you can find additional helpful information on our Truck Accident Advice Page. Remember, with our injury accident attorneys the consultation is FREE and there is NO fee until you WIN! 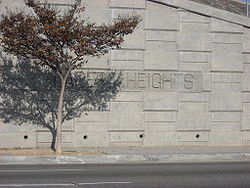 A census-designated place, Ladera Heights is an unincorporated area in southwestern Los Angeles County of California. According to the U.S. 2010 Census, its population was 6,498. 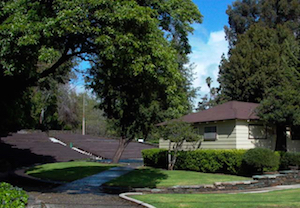 Culver City lies to its west, the Baldwin Hills neighborhood of Los Angeles to its north, and the Westchester neighborhood of Los Angeles to its south and southwest. Several sports players and celebrities including baseball player Frank Robinson, actress Vanessa Williams, comedian Chris Strait, boxer Ken Norton, basketball players Lisa Leslie, Byron Scott and Olympia Scott, have lived or currently live in Ladera Heights, Los Angeles, California. Determining the cause of a truck accident is of utmost importance when pursuing a legal battle for compensation for your injuries and damages incurred in a truck collision. The cause may determine whether one is entitled to compensation and whether any reduction needs be made for comparative negligence or other liability factors. For legal assistance in intricate details of your personal injury case, contact our experienced truck accident personal injury and wrongful death accident lawyers who can better explain things to you in a FREE CASE EVALUATION AND CONSULTATION. We provide immediate help in the form of medical care, medical specialists, property damage repair and settlement, advances, medications, prescriptions, transportation to receive medical care, etc. To learn more, please see our Testimonial Pages and our Home Page. For our quick and easy consultation form, just fill-in our contact us form 24/7 and tell us about your truck accident or any other personal injury case in Ladera Heights, Los Angeles or anywhere in California..
FREE CONSULTATIONS and there is NO FEE until WE WIN!